Aussies can finally order a Nexus 4 again. 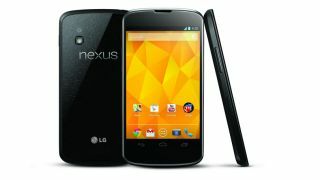 Australians keen to pick up the latest Google Nexus 4 can finally place an order on the Play Store, but only for the 8GB model. There is still a small wait, however, with delivery of this new stock expected within "2 to 3 weeks", according to Google store-front. Those looking for a handset with 16GB of internal storage will have to wait longer still, as the Play Store is still reporting this model as "temporarily out of stock" and is not taking orders for 16GB SKUs at this time. Aussie's looking to skip Google's Play Store can choose instead to pick one up from Harvey Norman. 16GB models are available, though you will pay a $100 premium if you go in-store, or AU$496. Stock for the smartphone has been in short supply around the world since its launch in early November of last year. The first batch of Google's hotly anticipated phone sold out within hours of becoming available in the UK, US and Australia. The shortage in units is a major problem for Google, as enthusiasm for the Nexus 4 is likely to wane the longer it takes to for stock levels to return to normal. This unusual situation has led to Google and its OEM partner in the Nexus 4, LG, taking turns to blame one another for the lack of stock, with an LG executive in France pinning the foul-up on Google's low sales expectations based on the sales records of previous Nexus-branded products. Regardless of who is to blame, the long wait for Nexus 4 handsets has been frustrating for fans of the Android ecosystem, especially after the handset received strong critical response after its initial release. The handset earned our respect here at TechRadar, snatching up a coveted TechRadar Recommends award.